Warriors have Player Development Groups at Under 18, 16 and 15 levels. 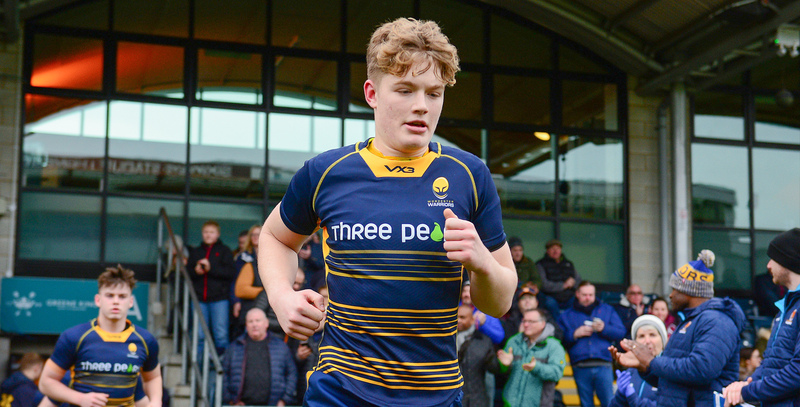 These squads are based at Sixways and players will develop alongside their academic studies either at school, college or as part of the Warriors Advanced Apprenticeship in Sporting Excellence (AASE) at Stourport High School. The Club’s focus is to develop players across all components of performance – technical, tactical, physical preparation, mental wellbeing and overall lifestyle. At the heart of the programme is the notion of individual development within a team environment, supported by principles of long-term athletic development. The Academy staff’s belief is that a player’s development is best assessed by what they do on the pitch, and that a competitive playing programme enables coaches to refer an individual’s progress back to the context of the game. These squads will play competitive fixtures against other academies, with the Under 18s competing in the Northern Conference of Premiership Rugby’s Under 18 Academy League. The best players in these squads will often form part of Warriors’ Junior Academy Centres. Players with the most potential may progress to the Warriors Senior Academy.